Adding a theme to the garden will definitely improve on the sight. It can really be any kind of theme – a floral theme, a colour theme, a vegetable or fruit theme, or just add decorations to make it look like it’s protected by gnomes, elves, garden soldiers, et cetera. Use your imagination to think of something that fits your character, or something that will make the kids go wild every time they see it. Whatever fits best, do that and it will improve on the garden for sure. A patio is always welcomed in a garden. If you are a sociable person, or you simply want to have a special place for yourself, do the landscaping with a bit of social touch and make the garden into something magnificent – either in solitary terms, or for a party. A place for a neighbourly barbecue will always be welcomed for the crowd, while you can make it much simpler for just yourself – a sofa, a lounge, and a table for cocktails or a mug. If you have kids, a playground is necessary. It will be a personal, a fun, and a safe touch to do, as you will limit where your kids will spend their free time, and you will always know what they are up to. As far as the outlook, just add the basic stuff and let their imagination handle the rest. Sometimes even something as simple as a sandbox will be plenty for a kid with a wild enough mind. Separate the parts of the garden into different areas and then make something for everybody. Have a great rose garden on one side, and a pretty playground on the other one. Have a spot for big, shaped bushes, or have a fruit or vegetable garden on the side. It is always nice to have options, and a garden of options will be the cornucopia your makeover needs. Brainstorm all these ideas and see what fits your tastes best. Be practical and make sure that you can also afford the garden waste removal services. 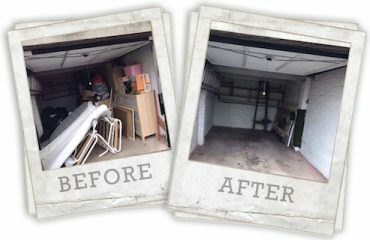 Above all, be ready with options for waste removal services to follow up as there will be a lot go get rid of once all is said and done. Always think ahead, think smart, and think big, and the garden you get will be definitely a thing of beauty.